Not a cold breeze in sight, and thoughtful films about American identity appear anyway. Yesterday’s cinema trip was for Spike’s latest and to finally see “Crazy Rich Asians” in an actual theater, offline. 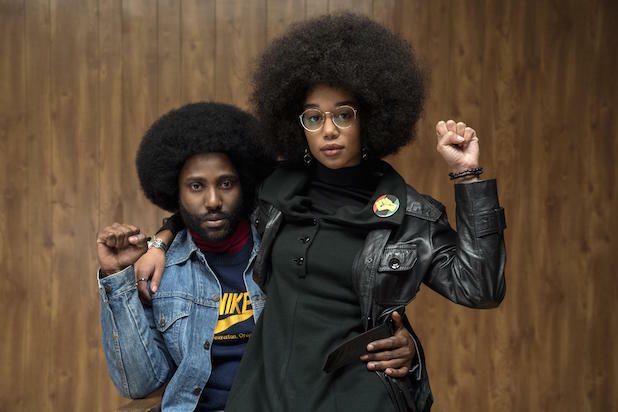 Spike, like this writer, is older, and “BlacKkKlansman” reflects not only his age, but his restraint. The former “Black nationalist with a camera,” teamed with “Get Out”‘s Jordan Peele in cooperation with white filmmakers, tells a story of late-1970s desegregation as Black-Jewish buddy-cop flick. He tries to keep his now-graying African-medallion audience by using a watered-down version of his normal racial tensions and contrasts, and finally, pun intended, has found a great use of his now-famous dolly. Tone-wise, Spike is now grown-folks-smooth-jazz; he’s learned to hold back. It’s fascinating, though, that his American desegregation triumph, billed as a based-on, isn’t accurate. So its value has to be hotly debated. “Asians” is a novel, so it can stretch fantasy to fit its truths. Its victory is variety; finally, some context to the nerdy young male and hiphop-styled young woman (although there are questions about the latter). A story of intra-racial (at least, from Western eyes) class divisions disguised as a love story. The movie asks internally and externally: how alike, or not alike, are one group of people, or similar individuals, and what barriers are legitimate? This entry was posted in film, news and tagged " "BlacKkKlansman, " Spike Lee, "Crazy Rich Asians, Jordan Peele. Bookmark the permalink.